The Central Office worked with Archeios and JAM Graphics of Noblesville, Indiana, to create an online repository of Theta Tau’s history. The largest element of this project is our magazine, and we are pleased to make it available now. 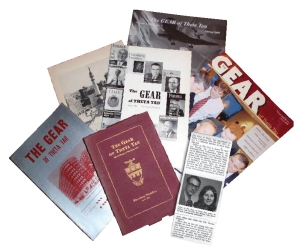 The article re-printed from the Fall 2013 issue of The Gear below provides a brief history of our magazine, and its editors.